« Would You Groan if Google’s Feeling Lucky Button Was Gone? During the recent Bitacle Battle of Blogs, the Stopbitacle.org was started and Stop Bitacle buttons showed up on blogs all over the web. Unfortunately, stopping bitacle, a splog that scrapes your blog’s feed content without permission, is just the top of the splog ice berg. 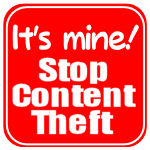 To scrape the whole ice berg of content theft, I’ve put together some buttons you are free to use to spread the word against content theft. These buttons, however, don’t work alone. You have to make them work for you. Display Your Copyright Policy: Make sure your blog’s copyright policy and statement is up-to-date and clearly visible. You can learn more about the various copyright policies from Creative Commons. You can put a copyright notice in your sidebar, on your about page, or on every post you write. 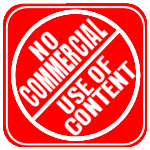 Your copyright notice can be linked to your copyright policy from a text link, a self-made copyright icon, a Creative Commons icon, or one of the icons below. 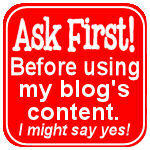 Copy and Save Button or Badge: Copy and save any of these Stop Content Theft buttons or badges to your own blog’s site. Do not hotlink to them here! Tell the World: Tell the world that your blog’s content is available for reading, via feed or otherwise, when it comes directly from you. Anyone who republishes your blog content beyond fair usage (excerpts approximately 100-500 words) is violating your copyright. Anyone who republishes your blog content beyond fair usage on any website featuring ads, called “commercial use”, may also be violating your copyrights. Let the world know what your copyright policies are and that you will not stand for anyone stealing your blog’s content or income. If your blog is being scraped by a spam blog (splog), until your Cease and Desist complaint gets you a response, put one of these buttons on your posts so they show up in their stolen feeds. The splog may have trackbacks turned on, which will trigger a trackback to your copyright page, letting you know your content has been posted without your permission. 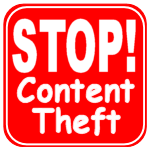 Let the world know you will not stand by and let others steal your content and make money with it. Especially if you don’t. These buttons and badges are meant to remind you that your content is yours to protect. 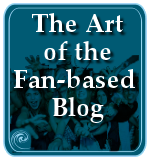 To motivate you to take action and protect your blog’s content publicly. They are also a reminder to others that your content is yours. You own it. You decide how it is used. You are free to use these however you like. Edit them, recolor them, resize, do whatever you want. If you choose to make your own buttons and badges to alert your blog reader’s to your copyright policy and the potential for content theft, you can use any graphics program or one of the online tools featured in Buttons, Bows and Badges for Your Blog. I’ve grouped them into JPGs, transparent GIFs, and PNG graphics. Edit them, play with them, colorize them, or have fun with them. Just spread the word and stand up for your copyrights, verbally and graphically. These GIF images have a transparent background. They will show any background colors behind the image. 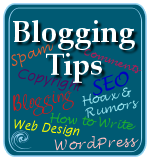 This entry was written by Lorelle VanFossen and posted on October 13, 2006 at 1:15 am and filed under blogging tips, Web Wise. Bookmark the permalink. Follow any comments here with the RSS feed for this post. Post a comment or leave a trackback: Trackback URL. These are great Lorelle. Thanks for your hard work! I will be adding them to my sites. Thank you for posting this!! The graphics are great… Going to go create a copyright policy page for my blog right now. Only if you expand Stopbitacle to Stop Content Theft. 😉 Widen the scope, my friend. 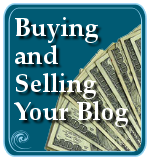 Curious, if you are not making money on your blog… is it bad for someone to steal the content? They aren’t stealing any money, right? Just curious. Unfortunately, there is an unforeseen advantage of splogging… and that’s that there’s often a link back to your site. Unfortunately (or fortunately) that winds up providing your blog with improved ranking with systems like Technorati and others that rank you based on how many people link to your blog. I’m not advocating splogging, it irritates me as well. This is simply a comment. Since search engines penalize recognized splogs, you are hurt by a splog linking back to you. Copyright has nothing to do with income. There are NO advantages to splogs. They do the web no good in any way. Link backs hurt you. Splogs waste time, waste bandwidth, and waste space. They make for extra work for blogging, hosting, and search engine services. They add to the cost of everything web, so cheap and easy access is getting harder to find. Splogs promote and encourage the illegal use of content, making the web an evil place in which to blog. People are cutting off feeds or using summaries or excerpts only. Comment spammers are making bloggers cut off easy access to their comments by forcing commenters to jump through hoops and undergo torture tests in order to leave a comment. We need to work together to bring the open community and fair play to the blogosphere and fight against the evil doers. Before the fun is gone. We can’t let the bullies win. At the moment, bitacle.org is the worst, or only brutal thief of many blogger’s content. They are an example, just as stopbitacleorg is. Every splogger should understand that their art of abuse can not go unnoticed. The world is my scope, dear Lorelle. It’s a world where sploggers are a reality. One of them has a name. A name which should ring a bell: be warned! You are among my top heroes for helping to spread the anti-bitacle word! 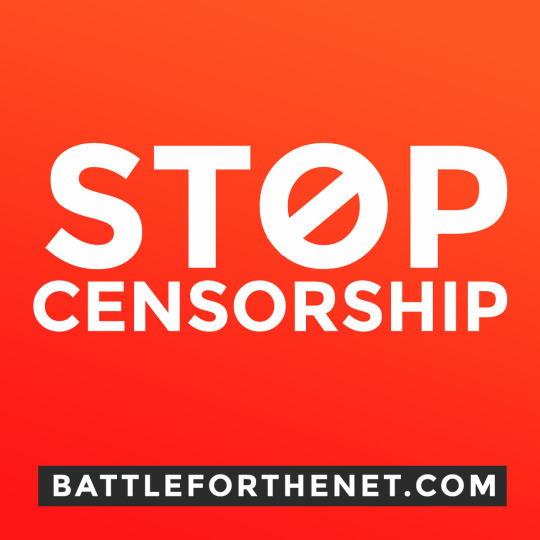 There are also many who think that the Internet Archive is one of the largest copyright thieves around, though little is being done to stop them as they are considered “educational” and “preservation”, even though they do grab your content without your permission. It’s a very fine line they walk. I’m sure you’ve also checked out the list of sploggers on SplogSpot, Splog Reporter, and Fighting Splogs. It is absolutely frightening how many spam blogs are out there grabbing our content. Right now, bitacle is the fad, but creeps of all sizes are out there. With the awareness of the bitacle battle, hopefully bloggers will uncover content theft elsewhere as they become more educated, and help put a stop to those, too. I keep wondering about the sploggers who are stealing our content with translation software, so we don’t know what is out there because we don’t speak the language. I’ve found some of my articles on splogs in Spanish, German, and Italian! But only because they turned up in search engines when I searched for a few key words they had left in English. 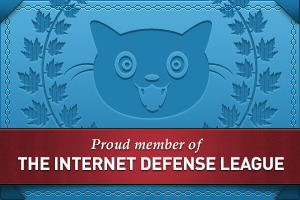 Thanks for being on our team to fight back against the monsters on the web! Hope it’s not too late to chime in here. Would Angsuman’s Feed Copyrighter Plugin for WordPress be helpful against these sploggers (assuming it still works)? thank you for these graphics! 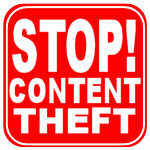 I’d like to post your article on my blog and refer people back to your instructions on handling stolen content. I do have a question though. We do a lot of article posting and we always use a bio box that says that you are free to use the content and don’t need permission as long as you keep the entire article and bio intact. 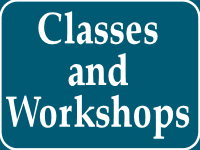 Please let me know as soon as possible as I don’t want to forget…great tips! My copyright policy says clearly that nothing is to be used on this site anywhere, for the exception of Fair Use, which I’ve set to 10% or 400 words, without express permission. So, you are not free to use the content and I do appreciate you asking. You may use a small excerpt and link to the information, but giving content away is your right, not my choice. If you copy such information from other sites and put a “bio” that says the content is free to use, then you may be violating copyrights for others. I’m sure you ask first. I have, however, given permission on this specific article for anyone to DOWNLOAD these images and use them on their blog, without grabbing the whole thing. One or two images will suffice. No hotlinking, please. For more on the issue of copyright and copyright protection, see What Do You Do When Someone Steals Your Content. That might be worth pointing to, not copying, for your readers. And again, thanks for asking. I’ve been looking with great interest at your work here and I think it’s very important what you’re doing. I work with some photo sites and I find interesting the use of some of these buttons on the published images, like a watermark. What do you think about this? I think that adding watermarks with your copyright is good, but these buttons on images? It’s up to you. Try it, see if it helps inform and educate. It won’t stop the copyright violations but it reminds people that taking without permission is against the law. I was thinking in something like this (I used one of my photos for the example). Just trying to inform and educate, as you said. Good news n’ Bad news: Unfortunately, I discovered your advice AFTER my copyrighted work was stolen. Fortunately, I thank my fellow writer buddy at Associated Content, “The Barefoot,” for leading me toward your marvelous investigative reporting! Thank you for all your generosity – I’m feeling much better now – Even though the goobers are still out there. Thank you… I’ve had countless people try to steal my information and actually had 2 people use my content! Just had a major publisher publishing Artwork / Logo content which has been trademarked, servicemarked, & copywritten in 2008!!! It is being distributed through Amazon.com!!! Your information is right on the money!!! It added quite a bit of knowledge to my limited copyright knowledge, & has helped me chart a course of action to take in regards to these issues!!! problems in other legal areas!!! 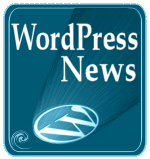 Thanks Lorelle – I added a badge to my site. Thank you Lorelle. Your badge is very useful and saved me time to draw my own. I added it to my site. 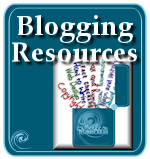 Great content featured on your blog. Congratulations! Many thanks Lorelle for these excellent “buttons, bows and badges for our Blogs”. I will be adding at least on of them to my site! But above all I want to thank you so much for sharing this excellent information! You are my god. Thanks a lot. I found out that one of my posts had been copied by another site without credit to me, so I went looking for information on how to deal with this. thank you very much for this post. I learned a lot today. Presently, we are arranging mental health Clinical Trials for Geriatric and Veteran Suicide Prevention. We have created proprietary self-report evaluation and measurement inventories (scales). We have filed a copyright on the scientific theory. The US government requires human clinical trails must be filed with and approved by an institutional review board (IRB). Of course, we expect the VA/DoD to steal our clinical findings and all of our intellectual property (which we first shall trademark). We are of the opinion that if we conduct clinical trials and protect our intellectual property via registered trademark(s) and patent prior to VA/DoD trials, the government is less likely to steal it, per se. 1. How can we minimize this from happening? 2. Will you grant permission to use your FAN-TAS-TIC (web space) buttons? Lorelle, than you for the consideration. As noted in the article, these buttons are public domain and may be used without permission. There are very specific industry guidelines for managing the security of your work. Please check with the appropriate agencies for those policies. Also, ensure, as required by the government, your copyright, fair use, and reprint policies and set clearly.